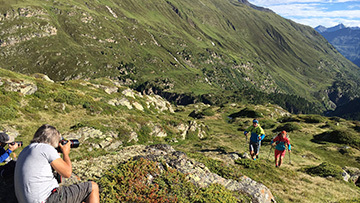 Trail Running - when you need to gain altitude quickly. Red, low profile and fast. 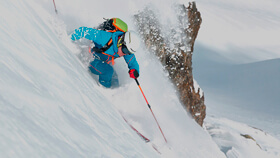 No, we’re not talking about a new Ferrari, we’re talking about the new Feline Up Pro from Dynafit. A shoe that simply loves to go fast. 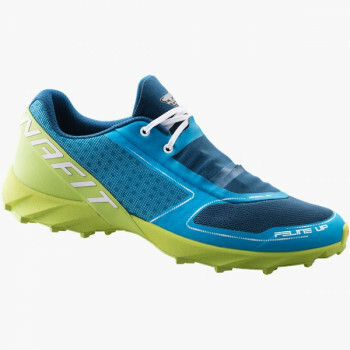 The Feline Up Pro is billed as a ‘mountain sprint shoe for vertical running’. However, after only a few kilometers, it appears that the envisaged target group may be a little narrow. The Feline Up Pro is unexpectedly versatile, even if the specifications are clear and unequivocal. 230 grams total weight, with a heel-to-toe drop of 4 millimeters. The shoe features a Quick Lace system, a very thin material for the upper and a Vibram Megagrip sole. The fit is definitely performance-oriented. Described as ‘Minimal Fit’ it turns out not to be as bad as I had feared. The shoe is intended for narrow or normal width feet; those with really wide feet are not going to like the Feline Up Pro. The lacing system allows the shoe to be cinched snugly around the foot, and the sock-like tongue also contributes to the excellent fit. As soon as you slip into the shoe you notice how flat and precise it is. The direct, precise feel is apparent when you are on the trail. The Feline Up Pro loves to run. Despite this, the shoe is anything but a rock-hard race model. I was surprised during the test how comfortable the shoe actually is. 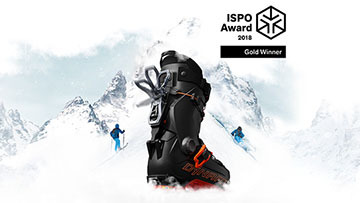 Even if it is aimed squarely at the mountain sprint market, it is quite possible to cover distances up to 20 kilometers in the Feline Up Pro. 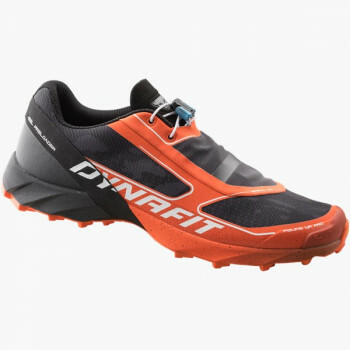 In fact, the shoe practically invites you to push harder on the trails including on technical surfaces. The grip is excellent, thanks to the Vibram sole, and the profile is well balanced. You only reach the limits of the shoe when you sink in deep. I was really surprised by the Feline Up Pro. It not only performed well in the sprints it is advertised for; it was a really fun shoe on narrow trails, too. 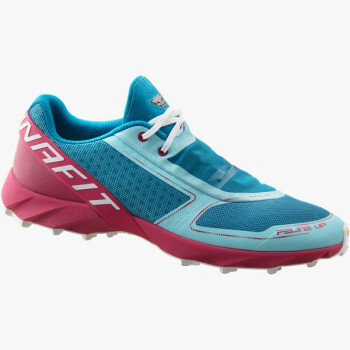 The grip is excellent and even the comfort level is OK. With this shoe, Dynafit has done everything right in my opinion. 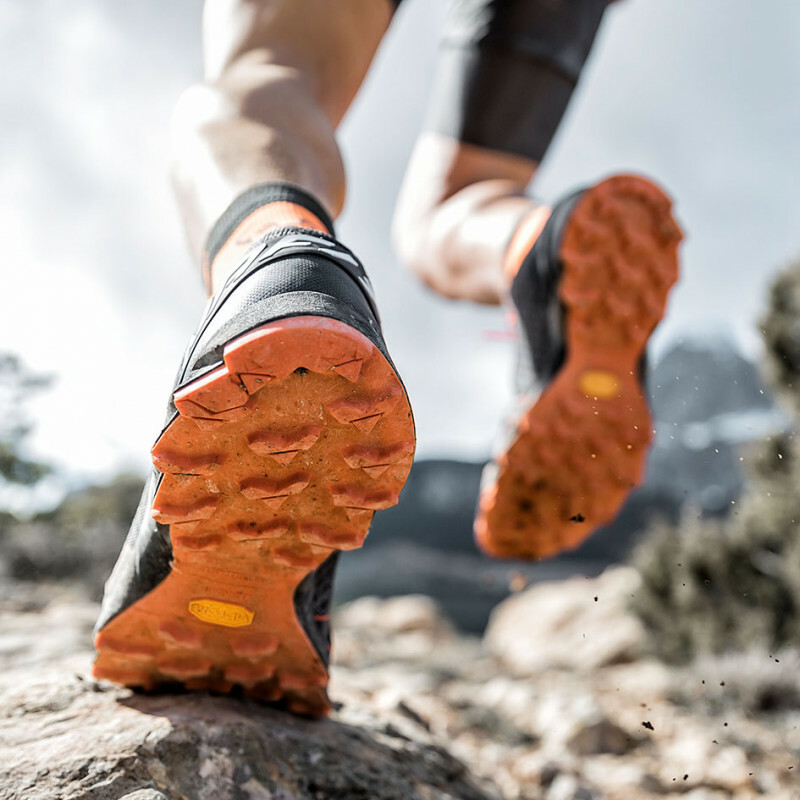 The Feline Up Pro is pre-programmed for fun on the trails.